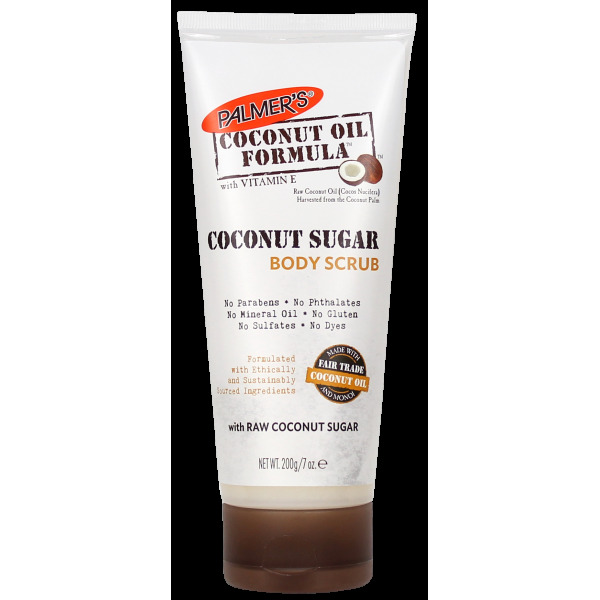 Formulated with Raw Coconut Sugar to polish and soften skin. 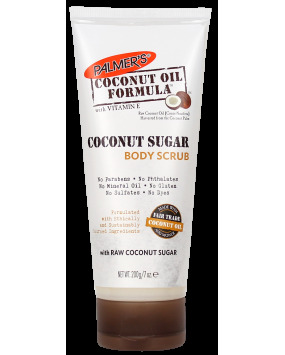 Palmer's® Coconut Oil Formula™ products contain ethically and sustainably sourced Coconut Oil and Tahitian Monoï Oil, infused with Tiaré flower petals to deliver decadently pampered skin. The addition of peppermint oil helps invigorate the senses. Raw coconut sugar for subtle exfoliation. No Parabens, Phthalates, Mineral Oil, Gluten, Sulphates, Dyes. In a warm shower or bath, apply a generous amount to your damp skin. Massage in circular motions all over body, focusing on areas that tend to be particularly dry such as knees, elbows and heels. Rinse thoroughly.